In the spirit of St. Patrick's Day tomorrow, I pulled out this neon green skirt I got last year from J. Crew Factory. It was a favorite last summer and I'm sure it will be again this summer. It is so comfortable and versatile. 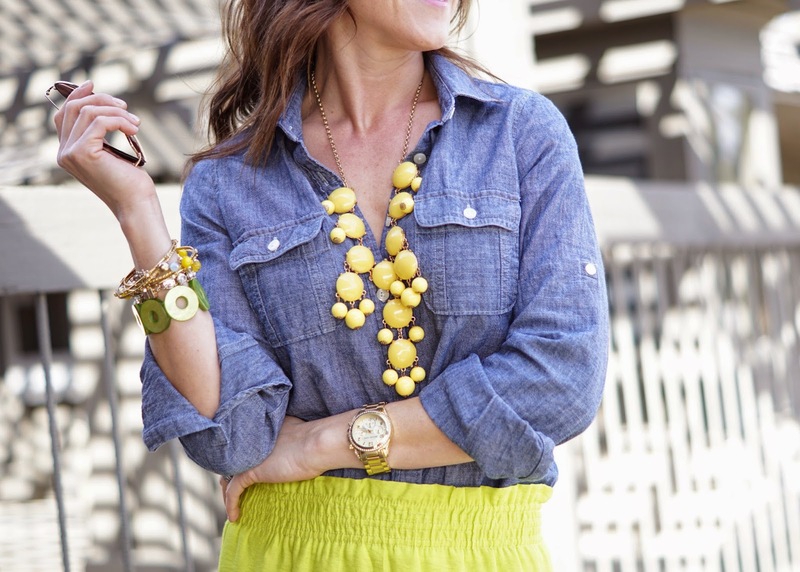 Worn with a t-shirt and converse, heels and a blouse, or wedges and a denim shirt for a casual vibe, it adds a fun pop of color. 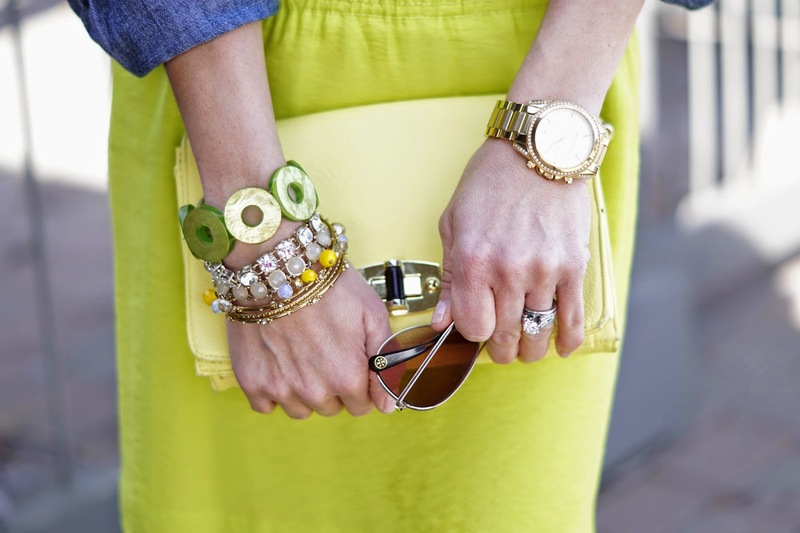 I like the idea of mixing green and yellow accessories together. 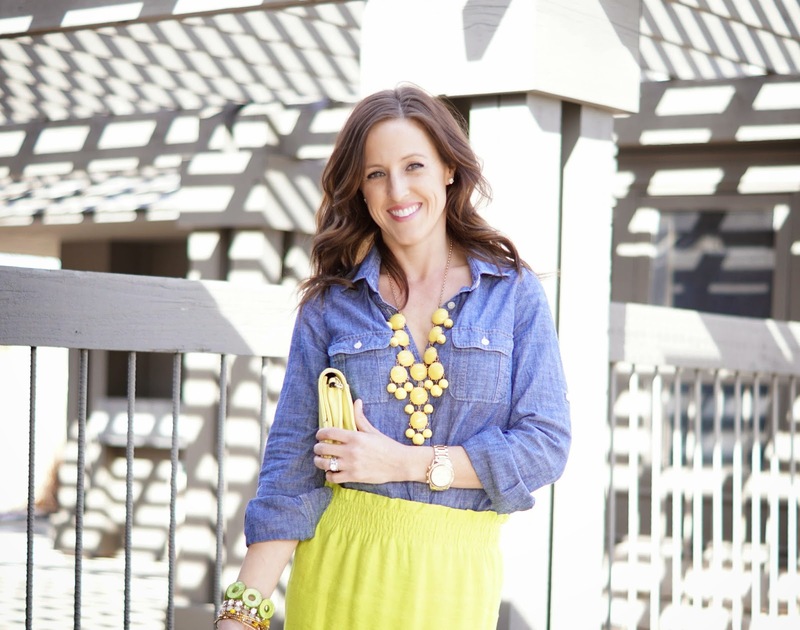 It's a fresh, bright color scheme.